ATC Plastics Windows / Doors / Conservatories - Fascia/Soffits/Guttering, Roofer, Windows/Doors/Conservatories based in Trimdon, Durham. 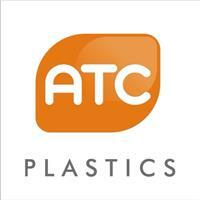 Welcome to ATC Plastics, a small yet professional business located in Trimdon Village within County Durham, North East England. With over 20 years experience behind us and a good track record of happy customers, ATC Plastics should be your first choice for quality Windows, Doors, Conservatories and Roofline products. Our customer's satisfaction is our main marketing strategy and your assurance. We know if our customers are happy we will win more repeat business and increase business through recommendation. When you couple the high quality of our products, our desire to keep our customers happy and the competitive prices we offer, ATC Plastics stands head and shoulders above our competitors. Contact ATC Plastics today and benefit from our free expert advice before spending your hard earned money. From experience we may well be able to provide a more cost effective or superior solution that best suits your needs.